If your diet leans more toward the seasonal and DIY (do it yourself), this year’s LA County Fair offers you the chance to learn how to preserve what’s in season now, all year long, in your own home kitchen. 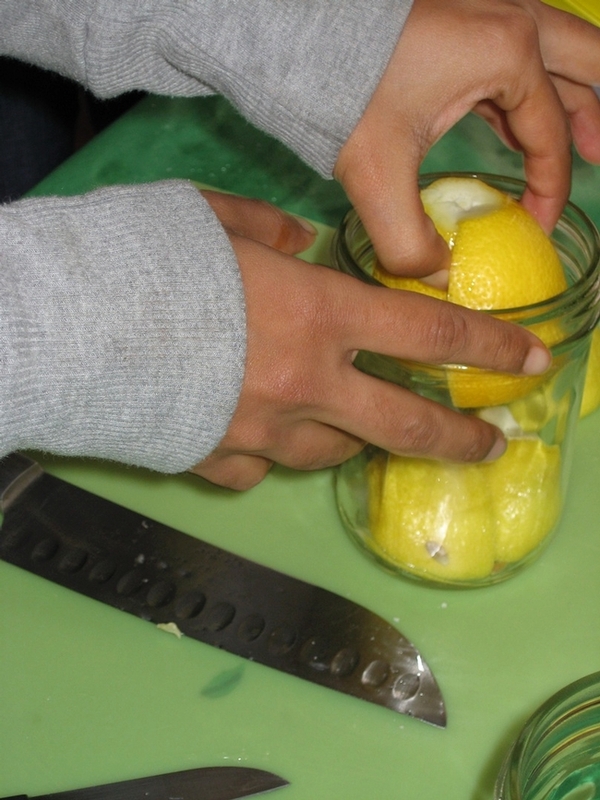 Certified volunteer instructors from UC Cooperative Extension Master Food Preservers for Los Angeles County (MFPLA) will be on hand for their second year at the fair, offering demonstrations, recipes and food safety tips. Whether you’re a gardener swimming in excess summer fruits and vegetables or a savvy shopper who buys produce in bulk, you’ll learn simple techniques for food preservation that you can do at home. New this year, MFPLA offers demos on two stages: The Culinary Styles Stage (part of The Village on Broadway) and the Farm House Kitchen (at FairView Farms) across from the Big Red Barn. Also for the first time, the Master Food Preservers of Los Angeles County will honor the winner of the Food Preserving Competition Sweepstakes with a grand prize gift, the Super-Fast Thermapen™ professional model digital instant-read thermometer, donated by ThermoWorks. At the Culinary Styles Stage (under the racetrack grandstand), MFPs will present on Wednesdays and Fridays, 9/5 – 9/28 from 12 to 3 pm. Learn to make jams and jellies at 12 pm; the art of pickling and fermenting at 1 pm; and how to preserve tomatoes at 2 pm. Starting September 5th, a potpourri of preservation techniques will be taught by MFPs at the Farm House Kitchen across from the Big Red Barn on Wednesdays through Sundays, between noon and 9 pm. A special feature will be MFP Liisa Primack’s giant solar dehydrator, on display at FairView Gardens from 9 am to 12 pm, Wednesdays through Fridays, 9/5 – 9/28. Built from an Internet-based design by Vista Metals Corporation in Fontana, CA, the dehydrator will be on display throughout the Fair with special demonstrations on weekday mornings for the Fair Kids Program. Among the MFPLA volunteer teachers on the Culinary Styles Stage are Antelope Valley-based former three-time Los Angeles County Fair Food Preserving sweepstakes winner Nancee Siebert; newly-named Hollywood Farmers Market Manager, Alexandra Agajanian; Hollywood Farmer’s Kitchen chef and MFPLA lead instructor Ernest Miller; LA Trade Tech culinary instructor Donald Warriner; from the original class of graduates (June 2011), Laurie Dill, Karen Hobert and Carol Ann Susi and 2012 MFP graduate Noelle Olson. 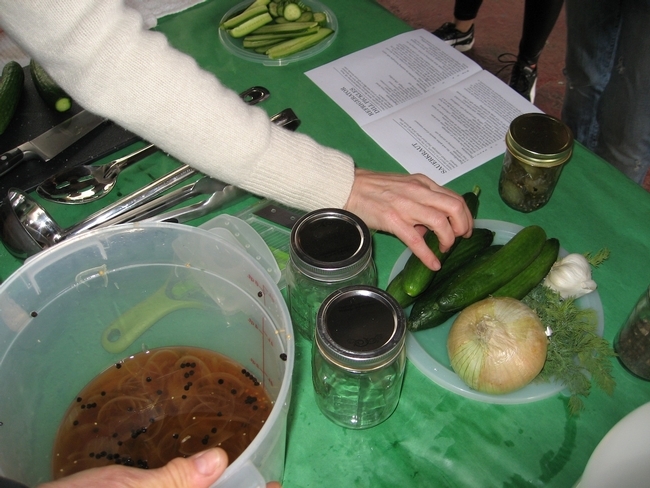 On the Farmhouse stage, in addition to some of the above-named MFPs, audiences will learn additional preservation techniques from professional cook Hae Jung Cho; Chicks with Knives co-partner Rachael Narins; University High School teacher Nance Rosen; and Fall 2011 MFPLA graduates Amy Goldman and Anita Ferry. 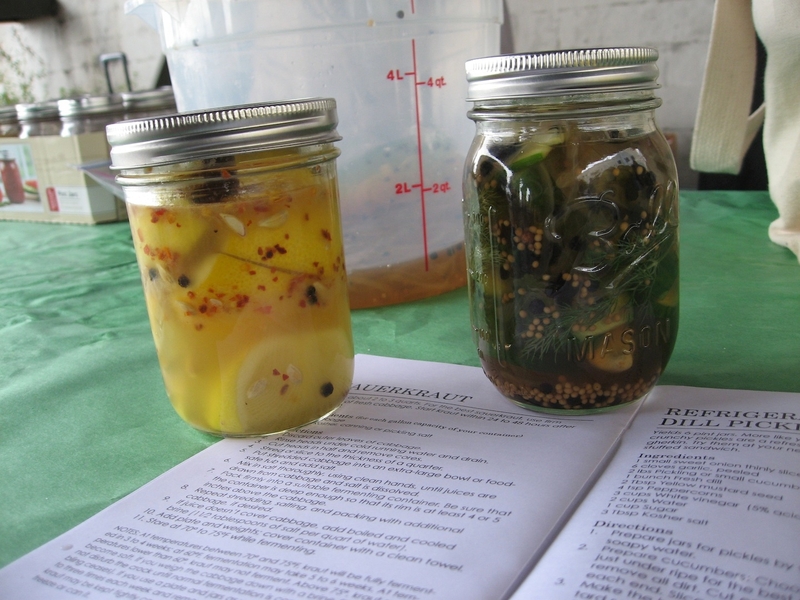 The mission of the Los Angeles County Master Food Preservers is to train volunteers to teach in low-resource communities, demonstrating how to safely preserve foods at home. Among the volunteer teachers are chefs, caterers, nonprofit leaders, homesteaders, bakers and breadmakers, farmers market employees, journalists, lawyers and a whole host of others concerned with re-skilling the community. Some of the skills MFPs learn and teach are dehydration, fermentation, freezing, water bath canning, pressure canning, charcuterie, cheese and yogurt making, pickling, making jams, jellies and marmalades, and preparing emergency food. All graduates are certified as UC Master Food Preservers, utilizing USDA standards. LA County Master Food Preservers answer questions from the general public and offer classes or demonstrations at various locations. In addition to their presence at the LA County Fair, volunteers are seen throughout Los Angeles at food festivals, civic events, community gardens and anywhere that they are called upon by the community to teach and demonstrate food safety. To contact the Los Angeles County Master Food Preserver program and request volunteers, email mfpla@ucdavis.edu. To find more information and a calendar of events, please visit our Facebook page at www.facebook.com/mfpla, our blog at http://ucanr.org/blogs/MFPLA or the program’s website at http://celosangeles.ucdavis.edu.